Blend together tomatoes, artichokes, and garlic. Put tomato mixture in slow cooker with 2lbs raw chicken breast. Add cream of chicken soup, salt, garlic powder, and basil. Cook on low for 7 hours and 15 minutes. 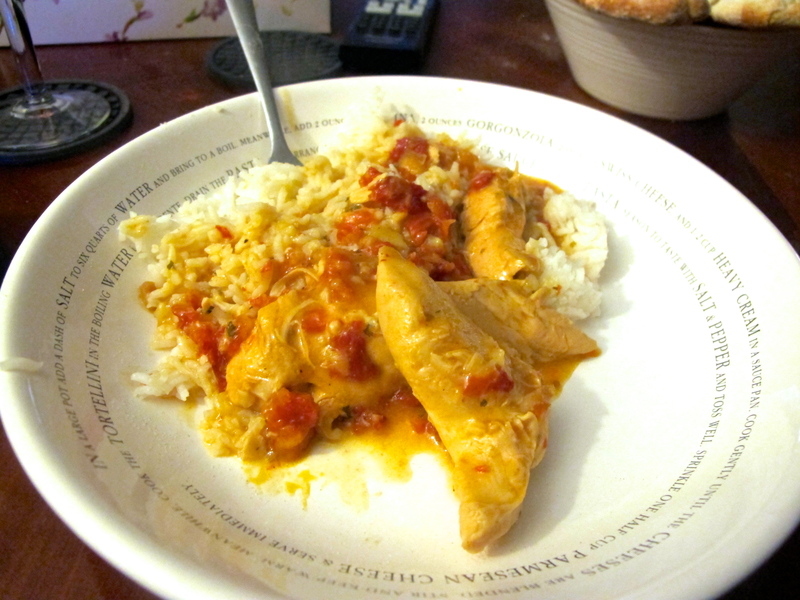 This entry was posted in Chicken, Entrée on February 16, 2014 by Miranda @ Tempest Books.